AC Tropical Fish (AquaticCommunity.com) was founded in 2004 as a resource and meeting place for tropical aquarium fish keepers. It has since than grown into a comprehensive aquarium portal featuring information not only about tropical freshwater fish but also about all other types of aquarium fish. On this tropical fish website you will find information on how to maintain your aquarium and how to care for your aquarium fish. Try visiting the forum and ask as question if you can not find the answer to your question in one of our many articles and species profiles. I hope that you will find this website helpful regardless of whether you are keeping your first aquarium or is a experienced fish keeper looking to find info on a species you haven’t kept before. The German blue ram is a fantastic little fish. It is a true gem that can be kept with other friendly species. Many of us are happy if our aquarium fish lives for a few years. Some of us are delighted to have a fish that is 10 years or more. But how ling can fish live? What is their maximum lifespan. The answer will vary depending on the species. Some species will only live for a few months. Other such as the goldfish can live for 10s of years. Yet other can live for several hundred years. Both large and small species can have long lives. Read more about how long fish can live with the right care. Algae are an important part of the ecosystems where they occur, but they can also become a nuisance for aquarists, pond keepers and swimming pool owners. 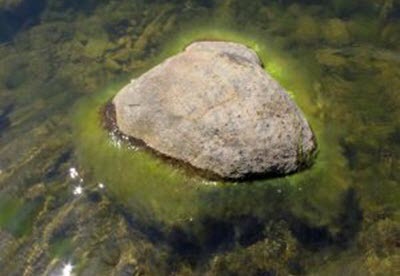 In order to successfully combat algae it is important to understand what algae are and how they subsist. The main limiting factors are therefore light and nutrients. By controlling the amounts of light and nutrients, we can carry out successful algae control. Read more about Algae control. I recently visited a friend who makes his living as a day trader and who had earned a small fortune taking short positions while margin trading CFD positions. Don’t worry if you didn’t understand a word of that, I didn’t either until he told me to read this website. He invited me to see his new fish that he purchased to celebrate his recent fortune, 1 Red Arowana and a Platinum gar!!! I am so jealous of this guy right now. We spent the night creating a list of the most expensive aquarium fish. Read it now! There is a very large selection of different fish species available on the market. The selection of different species can vary depending on where you live but if you can not find a species locally you can usually find someone online that is willing to ship it to you. The large selection of different tropical fish makes aquarium keeping an ideal hobby for any one. There is a large selection of hardy fish that is easy to care for. These species are ideal for anyone who wants to keep their first aquarium or for anyone who wants to keep an aquarium as decoration in their home without having to do too much work maintaining an aquarium. An aquarium does not have to be much work. A well planned aquarium can be maintained by spending less then one hour a week doing so. You will need to feed the aquarium fish regularly but this can be done using an automated feeder. Feeding your fish can be a joy and is likely something you want to do yourself but a feeder can help you when you are unable to do so. On this website you will find all the info you need to be able to setup a low maintenance aquarium. There are thousands of more challenging species of tropical fish to keep once you have gained a little more experience. Your first aquarium should be 20 gallon or bigger. A common mistake is to start with a smaller aquarium in the believe that a smaller aquarium is less work to maintain than a larger aquarium. The opposite is actually true. A larger aquarium is always easier and less work to maintain then a smaller aquarium. I would personally recommend that you consider getting a 50 gallon tank as your fist tank. I do however realize that not everyone wants to spend that much money on their first aquarium and a 20 gallon is a good compromise. You should not get a tank smaller than that. A larger tank is more stable and will be able to handle over feeding and other beginner mistakes better. This reduce the risk that you will make any mistake that will cause you to lose fish. An aquarium with a water volume of less then 20 gallon will be too unstable and give you too small margins to be a good choice for a beginner fish keepers. Smaller tanks are best reserved for more experienced fish keeper. Do you want a larger aquarium, 100 gallon or larger, but are you afraid that it will be to much work? Dont be. A larger aquarium is less work then you think. A moderately stocked 100 gallon aquarium requires less weekly work then a 20 gallon and the more stable water conditions will allow you to change water every 2-4 weeks instead of once or twice a week. This remains true as long as you do not overstock the aquarium. An aquarium is heavy. How heavy it is depends on the water volume. The bigger the aquarium is the heavier it gets. It is important to make sure that you have a strong solid floor where you place your aquarium. It is also important to make sure that the legs of the aquarium rest on floor beams. Not in between beams. The best option is to use stands that have a frame at the base and that spreads the weight evenly over the entire area. Not just on on 4 or 6 legs. Always ask the landlord if the floor will support an aquarium of a certain size if you live in an apartment. Large aquariums are best placed on the ground floor or in the basement. Smaller aquariums can be kept on upper floors. It is usually safe to keep aquariums up to 50 gallons on upper floors. Many buildings will be able to support tanks that are bigger than that but it is always best to make sure before you put on in. I recommend doing your research for anything over 20 gallon. Better to be safe than sorry. The aquarium should be placed in a spot where you like and is able to enjoy it. Avoid spots where it gets hit by sunlight from a window. This will cause you to have algae problem. I also recommend that you avoid spots where the aquarium might get hit or where people are more likely to fall into it. A den, living room or hobby room is usually the ideal spot. A bedroom might also be very nice but if you decide to keep it in your bedroom you should be aware that all aquariums make some noise. This can be kept to minimum by getting high quality equipment but it will never be completely quiet. The equipment for your aquarium can often be the single largest expense when you setup an aquarium. Exactly how much is will cost will depend on the size of the aquarium and what type of tropical fish you want to keep. Saltwater aquariums require more expensive equipment then freshwater aquariums and cold water aquariums can be very expensive if you need to use chillers to keep the water cold enough. Below i am going to assume that you inexpensive and hardy species to chose from and you can use relatively cheap equipment. You can read more about how to setup a saltwater aquarium in our saltwater section and on our sister site about reef aquariums. Different brand of equipment can have very different prices. It can be very tempting to get the cheapest option. This can sometimes be a good choice but will not always be a good choice. Always consider the quality of the equipment as well. An example of this is that cheap filter often makes more noise than a little more expensive aquarium filter. It is therefore worth paying a little extra to get a quiet filter. Below we are going to look at some types of aquarium equipment. We will decide which equipment that is necessary when you keep tropical fish and which equipment that is voluntary. An aquarium filter is a necessity. You should always make sure to buy a good filter that is suitable for you aquarium size and for the fish you want to keep in it. An experienced fish keeper can keep aquariums without a filter but a beginner should always get one. It makes aquarium keeping a lot easier. There are a number of different filters to chose from. They all have their own benefits and drawbacks. The most common choice for your first aquarium is an internal canister filter. They are easy to maintain and will not cause water leaks. External filters are a more common choice for larger aquariums. Read more about aquarium filters here. An aquarium is another necessity that most people need if the keep tropical fish. An exception from this is if you keep your home very warm. If the room temperature in a room is kept at 74f or above then you do not need a heater. Some aquarium filters have built in heaters. If you buy one of these filters then you will not need a separate heater. Choose a heater that is designed for an aquarium of your size or larger. An undersized heater will have to work very hard to try to keep the temperature up and will be a lot more expensive to run than a larger heater. Make sure that the entire heater is placed under the water. You can read more about aquarium heaters here. Aquarium lighting is not necessary for most fish. Most fish will do well with the ambient light. You will however most likely want to buy a good light anyway. A good light will make the fish and the aquarium look a lot better.. If you just keep fish then you can chose any light that looks good as long as it doesn’t heat the water too much. If you want to keep a planted aquarium then you will need to choose a lighting system that is suitable for an aquarium your size and the plants you want to keep. Some plants do well with little light while other needs a lot of light to thrive. Read more about lighting here. An air pump is not a necessity but will help make it easier to keep your fish healthy. A well kept aquarium with a suitable stocking will not need an air pump. An air-pump will however help keep the water oxygenated if the water quality goes down due to overfeeding, a dead fish or a number of other reasons. It can be the difference between a slight dip in water quality and disaster. You do not need an air pump but i highly recommend that you get one. They are cheap and can save the life of your fish. Read more about air pumps here. You not need to keep plants in your aquarium. A lot of tropical fish will do well regardless of whether you keep plants or not. If you do chose to keep plants then that will bring both benefits and drawbacks. It will help reduce algae growth, will provide hiding places for the fish and will make the aquarium look more natural. It will however also make the aquarium need more care as you need to prune the plants, remove plant debris etc. In the end it is up to you to choose if you want to keep plants or not. Whether the best option is to keep plants or not is usually decided by what types of fish you want to keep and how you want your aquarium to look. You can read more about aquarium plants in our aquarium plant section. Setting up the aquarium is easy once you have bought the aquarium and all the equipment. Take your time and make sure that you do it right. Read our guide on how to setup an aquarium to learn how to do it. Step by step instructions. It is very important to cycle your aquarium before you start putting fish in it. An aquarium that is uncycled is very sensitive to water pollution and over feeding. An aquarium that has been cycled will be a lot more stable and is able to handle fish waste and small amount of excess food. Not cycling the aquarium correctly is the most common mistake made by new fish keepers. Make sure that your aquarium is well cycled before you add fish. This might take up to two weeks from the time that you set it up and fill it with water. I know it can be hard to wait and I am often tempted to but fish in too soon. But it is worth it to wait and only add fish once the cycle is done. Learn more about aquarium cycling here. Once your aquarium is cycled you are ready to start adding fish. Add a few at a time to allow the aquarium to get used to the new bioload. If you want to keep a school of a small fish then i recommend adding that entire school at the same time. Choosing fish for your first aquarium can be hard. The local tropical fish store is likely to contain hundred of species. Far from all of them will be suitable for beginners or community aquariums. You do not need to keep a community aquarium just because you are a beginner. It can be easier to keep a species aquarium. Most beginners do however want to keep a variety of different tropical fish in their tank and i will therefore assume that you do as well. 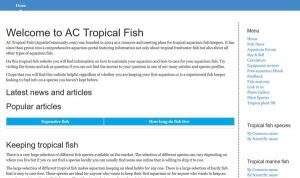 If you want to keep a species tank then you most likely already know what species you like and can use the search function to find an article about how to best care for that species. Below we are going to go through a few things you should think about before you buy fish for your first aquarium. 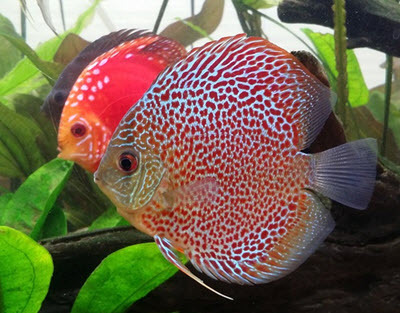 Always make sure to choose tropical fish species that are suitable for your aquarium. If you want to keep a community tank then you should get small friendly species that do well with others and that do not nip the fins of or harass other species. Always make sure that you choose species that want similar conditions and that will not grow to big for your tank. Goldfish: Goldfish are not suitable for tropical aquariums and are not suitable for beginners. They do best in colder water, produce a lot of waste and grow rather big. This is especially true for comet and other single fin types of goldfish. 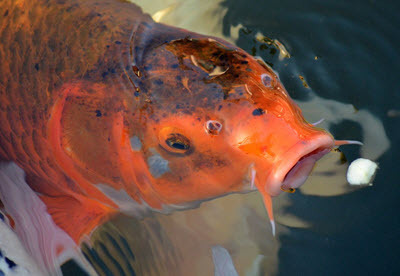 A goldfish can live to be very old. They will become 35 years or older if provided the proper care. Goldfish in aquarium often just live 3-5 years due to getting poor care. There is nothing wrong with keeping goldfish. They can be wonderful pets. But they are not suitable for beginner community aquariums. Plecos: Plecos or sucker-mouth fish as they are commonly called are popular beginner fish. They are cheap and their weird looks make them popular. A lot of species do however grow very big. Up to 2ft or more. This makes them very unsuitable for beginner tanks. An added problem is that they can survive and breed if released in southern waterways and they have caused a lot of damage in Florida and other places where they have become established. Make sure that you do not get a big pleco species. Get an ancistrus instead. They look very similar and will only grow to a few inches. Pacu: Pacu fish are popular because they look like piranhas and they are often bought while they are small by well meaning beginners. They do however grow very quickly and can grow to 2 ft in length. They are not suitable for normal home aquariums due to their size and the waste they produce. Bala sharks: Bala shark is another species that is popular among beginners but that quickly grows very large. Avoid. Red Tailed Catfish: The is very predatory and grows very quickly. It can grow to more the 2 ft in length. It is only suited for ponds and very large aquariums. Read more about tropical fish species I recommend you avoid here. Now that we looked at what species of tropical fish to avoid we can start looking at what species you should get. This list is not complete but it will give you a few examples of species to look at. There are a lot of different species of live bearers available in the trade that is suitable for beginners and that are very easy to care for. They are also very likely to give you fry which can be a very rewarding experience. Examples of popular livebearers include guppy, platy, swordtails and mollies. Barbs is a group of fast moving small schooling tropical fish. They are easy to keep as long as you make sure that your water is well oxygenated. There are a number of barbs that are suitable for your first community aquarium including cherry barbs, rose barbs, five line barbs and a number of others. Some species such as the tiger barb is known to harass other species and it best to avoid. Danios are closely related to the barbs and can be another good option. The very popular zebra fish is a type of barb. Tetras is another family that contains a lot of small schooling species that are suitable for your first aquarium. The black skirt tetra and the rummy nose tetra are two good examples of this. 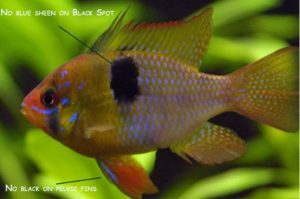 Other popular tetra species includes the neon tetra and the cardinal tetra, There are a lot of the tetras that can be sensitive or that grow very large. Pacu and piranhas are types of tetra. It is therefore very important to research a species before buying it. he labyrinth fishes breed air and will need to surface to breed. The group contain a lot of popular species of tropical fish that are suitable fir beginners. A good example of this is the dwarf gourami and the pearl gourami. Some species are aggressive and are not suitable for community tanks. Always research a species before buying it. One of the most popular fish in the hobby is a labyrinth fish. 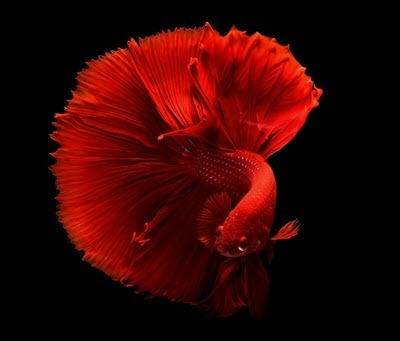 The betta fish! Catfish can help you keep your aquarium clean by eating excess food that has sunk into the gravel and by eating algae. There are a lot of different small catfish species that are suitable for beginner aquariums and i always recommend that you keep catfish in your tanks. It is important that you chose species that are suitable for your tank. I recommend that you chose a species of catfish that are active during the day. If you chose a nocturnal species you might never see them. special needs, this includes most African species that are best left to community aquarium devoted exclusively to cichlids from one lake. You can read more about different types of cichlids here. 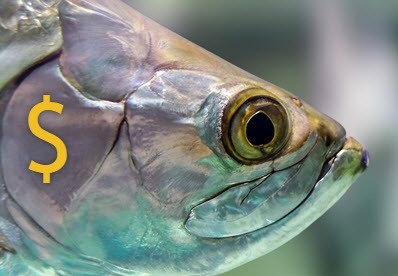 Tropical fish are cheap that this does not mean that you should consider them to worth less than other types of pets. If you decide to keep an aquarium then you will responsible for the fish you keep in there and you should do everything you can to give them a good life just as you would for a cat or a dog. You are likely to lose a fish or two during your first year but your goal should always be to do what you can to give them a good life. Do not think that you can just buy a new if a fish dies.